Costco has made its name as a place to go when you need to buy a product in bulk. Items that are quickly disposable like diapers, paper plates, garbage bags and plastic utensils can be bought in large quantities with sufficient price savings. You can add to the list of items being offered, the G2 HSPA+ enabled Android phone. While Costco won't be offering the handsets in cases with a gross of phones, the retailer does have something special to sweeten the offer. According to someone close to the situation, Costco plans on selling the G2 in a price range of $150-$200 with a signed two-year contract (most top of the line Android phones have been going for $199.99 after rebate and contract). Off contract, the price will be $449.99. Costco's gimmick of big price savings for large quantities will not work with a cell phone, so what does the retailer have up its sleeve? How about free accessories. It is not known if Costco's deal will include a free case, car charger or a Shamwow to keep the phone nice and dry. But whatever accessory will be handed out at no cost, it could be something that gives G2 buyers the incentive to pick up their next handset at the same time they replenish their toilet paper supply. Whoever wrote this article did not research to back up the information. Costco is on of the premier places to buy a cell phone in the nation. Every phone they sell comes with a car charger, a case, and a headset at no additional cost. The pricing is always at least the same as everywhere else if not dramitacally lower. The people that worked there helped me more than anyone has ever with cell phones. They are extremely knowledgable and professional. They live up to the customer service that I have come to expect when going to Costco. This message is brought to you by your local Costco store manager. That being said $450 off contract isn't bad at all. Just wish the phone had a bigger battery. True phonearena once again writes an article with no research. Costco has been selling cell phones for 6 years now. And itso actually not costco but wireless advocates who sells the phones in costco. And all costco phones come with leather pouch(cheap) wired headset(some phones come with free bluetooth especially t mobile phones) and a car charger. 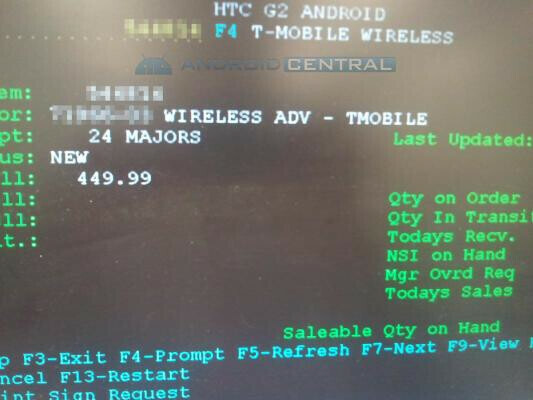 Also even tho it shows a retail price they do not sell any phones without a contract. All T-Mobile smartphones come with bluetooth headsets free at Costco. Wireless Advocates also waives activation fees for all new activations and charges sales tax on wholesale rather than retail price. The only time they sell phones with no contract is on new Even More Plus activations.